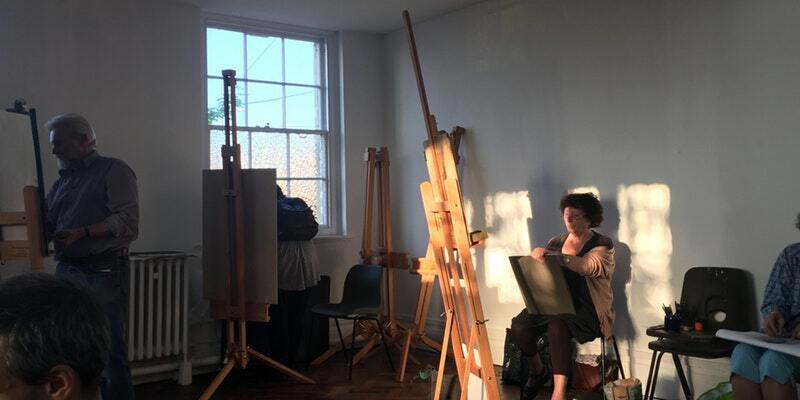 Drawing Projects UK are delighted to present this special life drawing session. This one-day life drawing session led by artist-tutor Alex Roberts will provide the opportunity to draw two male life models and to explore how simple props (eg: drapery, masks, blindfolds) add visual meaning and aid symbolism within figurative art. This session will reference compositions from Francisco Goya and Paul Delaroche to George Fredric Watt and John Singer Sargent, and explore drawing style and language relevant to the subject matter. The 'gesture' is defined as a movement, usually conveyed by the hand or head, that expresses an idea or meaning. When accompanied with speech, it can articulate, emphasise, create humour or angst. In painting, the gesture has a loaded his-tory. Most commonly associated with the abstract expressionists like Willem De Kooning, Lee Krasner or Joan Mitchell, it held alchemical accord, with the ability to imbue painting with the emotional charges of joy, anger or melancholy directly from the artist’s hand. Now emptied of those grand accreditations, the gesture takes on a more functional role. In an age of image proliferation, the gesture is a unique device or mode of language that is crucial in relaying a painter’s conceptual concerns. The artists in Control to Collapse feel, interpret and respond to the viscosity of pigment and the absorbency of surface to find painterly gestures that take an active role in conveying meaning. Through this tactile connection with their materials, these artists draw on bodily intellect and let muscular memory guide the application of paint. They are acutely conscious of the gestural act as a device for communication and find movements and motions that allow ideas to be soaked into the surface of their work. This exhibition navigates a variety of gestural acts, from an intricate slicing that causes oils to take on the healing qualities of flesh; to broad swathes of paint that engulf the gallery and interrogate the psychological qualities of the spaces we in-habit; or rapid washes of thinned oils that create aqueous scenes of transparent and luscious landscapes of vegetation to address politically charged themes of excessive water consumption. It explores the gesture’s role in communicating the wider concepts explored in the featured artists’ respective practices. Control to Collapse is curated by Rebecca Byrne and Liz Elton, the title aiming to encapsulate the range of gestures these nine artists employ, from the tightly controlled to a point where the gesture is undermined and almost allowed to disappear. Under the name ‘PaintUnion’, Rebecca and Liz have collaborated on a number of talks about painting and other projects, including ‘Pool’ at Griffin Gallery and PIY PaintLounge at Sluice Biennial (with Wendy Saunders and Paula McArthur of paintbritain). 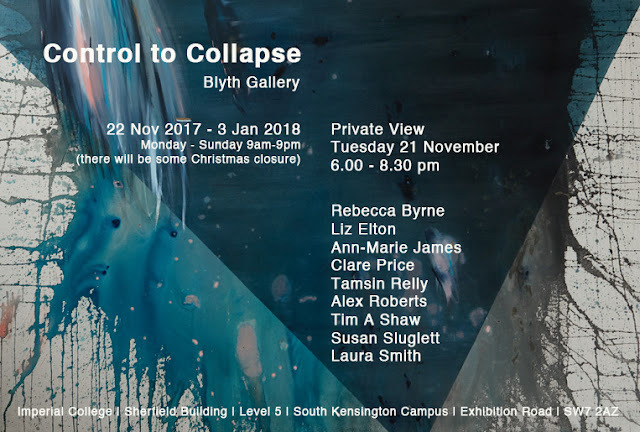 They are very grateful to Niamh White, co-founder of Hospital Rooms and founder of the Den-tons Art Prize for writing Control to Collapse’ introductory text.